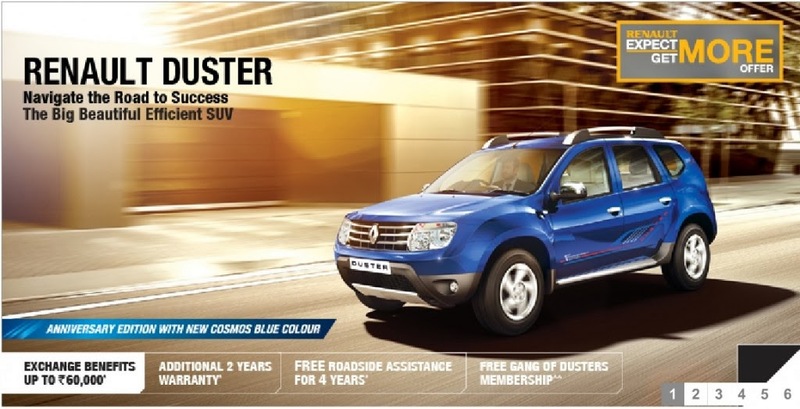 Renault India is celebrating the first anniversary edition of their Compact SUV - Duster. The French carmaker has launched a special edition with a new color called Blue Cosmos. The Renault Duster Anniversary Edition this will be called and will be available only in above said color. When asked about introducing the color for the Indian market, Renault India’s CEO, Mr. Marc Nassif, said that if there was enough demand for it, he would eventually introduce it in India as well. Currently, the color would be manufactured under Dacia brand and would be exported to various other markets. The Duster Anniversary edition is available only on the top-end model and as a result, the Cosmos Blue color is also available only on the top-end RxZ 110 PS version. We’re informed by dealers that Renault is charging INR 50,000 more for the anniversary edition.